Since we stayed in the Stone Mountain Park, we had to see what Stone Mountain Christmas is all about. The warmer temps down South left us lacking a little Christmas spirit but once we got to the park that all changed quickly. The entire park is transformed into a Christmas wonderland. 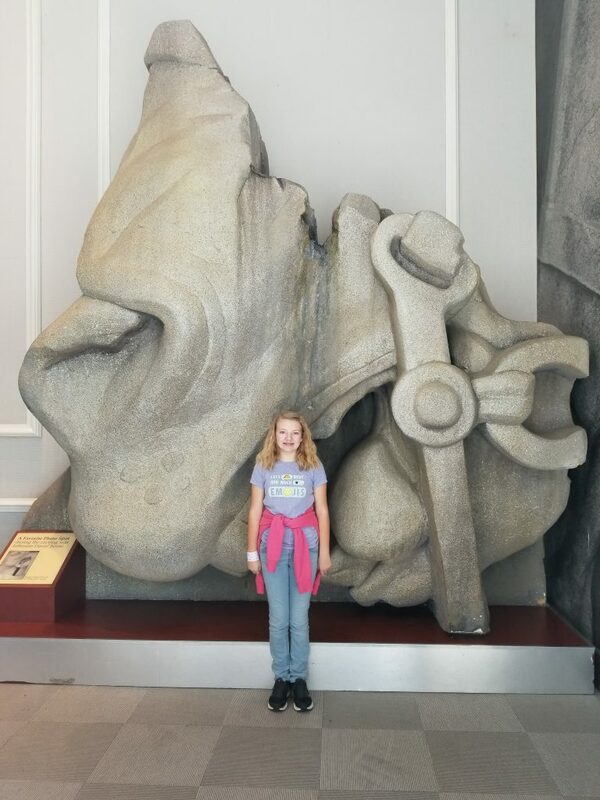 We arrived at Stone Mountain Park early in the afternoon and decided to check out the museum first. We received a little history lesson with all of the displays. The museum is fairly small, but it was filled with plenty of information on how the stone carving came to be along with information on family life during that time period. Alexis was very surprised to see how tall the carving actually was in comparison to herself. After the museum we took the cable car up to the top of the mountain. 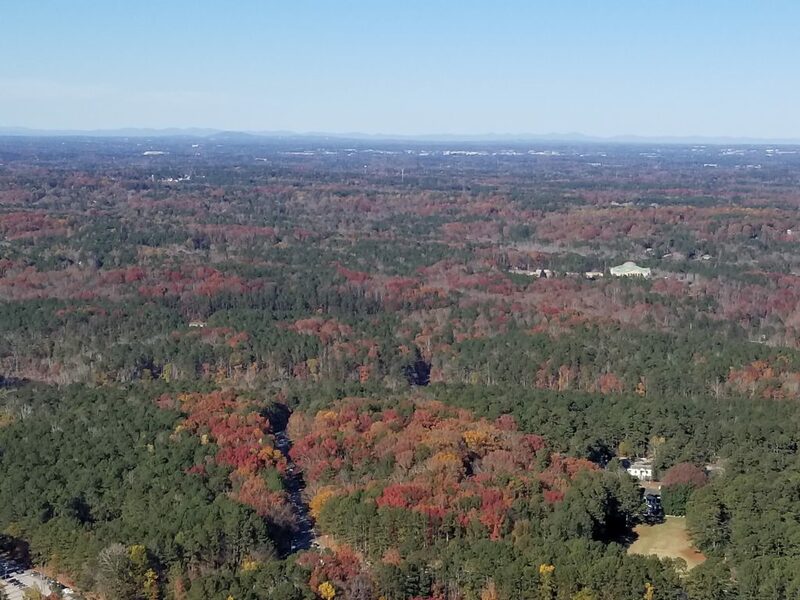 It is a very short ride and the view is amazing with all of the fall colors making their appearance. If you have a choice, make sure you are on the right side of the car as it’s going up so that you have the best view of the carving. Once the cable car gets to the top of the mountain riders are able to get off and walk around. 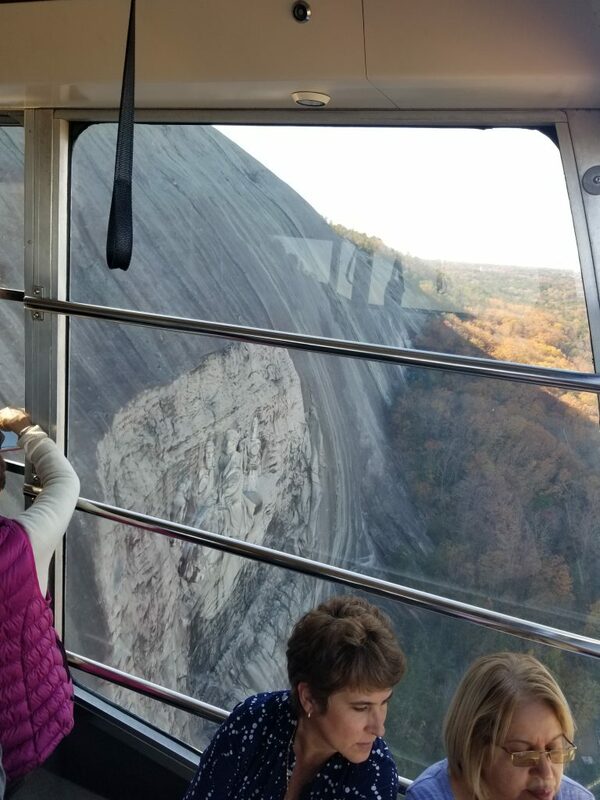 We were able to see Atlanta from the top as well as some very pretty lake views and a view of Stone Mountain Park. Jump back on the cable car to head back down. On our way over to Historic Square and the Farm, we stopped at the Dinotorium. There were foam balls everywhere and it made me think of an ultimate Nerf war. There are cannons on multiple floors and one could shoot foam balls at other people until their hearts content. My boys were having such a great time trying to shoot people incognito that they didn’t want to leave! Historic Square and the Farm were a favorite for Alexis. She enjoys looking at the items that are in older homes and she is obsessed with animals. 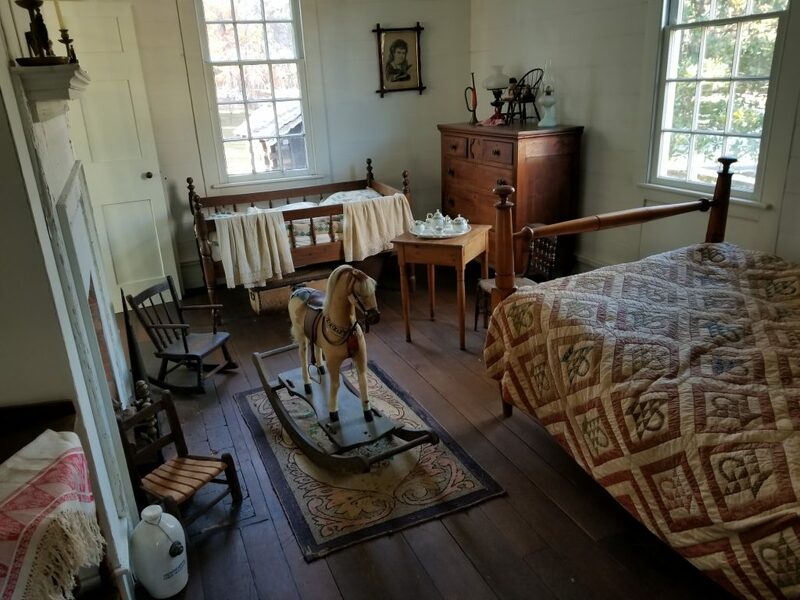 The Historic Square is a great place for the kids to learn about what property and household items looked like in the early 1900’s and also see how a slave’s life differed from a business man’s life. 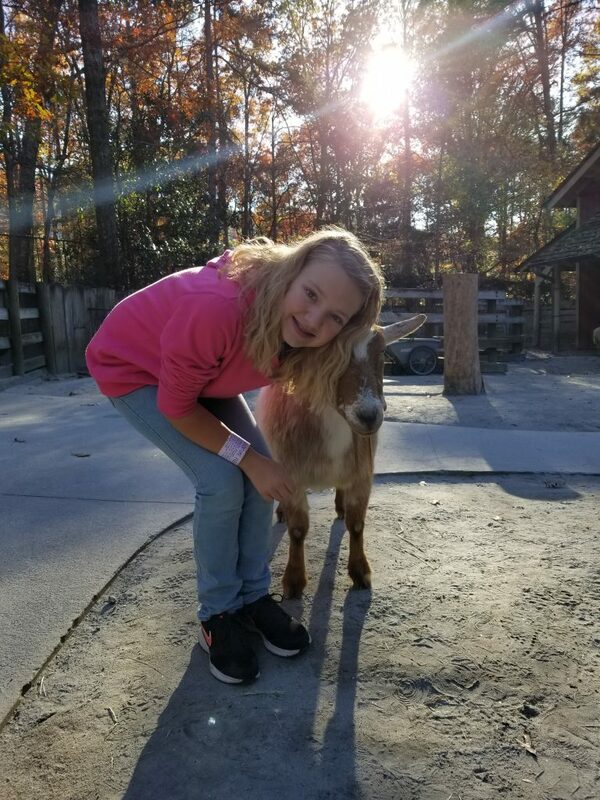 Tending to the animals is what Alexis would like her life to be like. Good thing the goat gave a little sass or I think someone would have tried to sneak him out! Once we finally pried the kids away from the farm we headed for the 4D theater. If you haven’t tried a 4D theater, this is a must. During Christmas season Rudolph the Red-Nosed-Reindeer was playing. My family loves a good 4D show because you never know when air is going to blow behind you and make your neighbor jump or when something will fall from the sky. 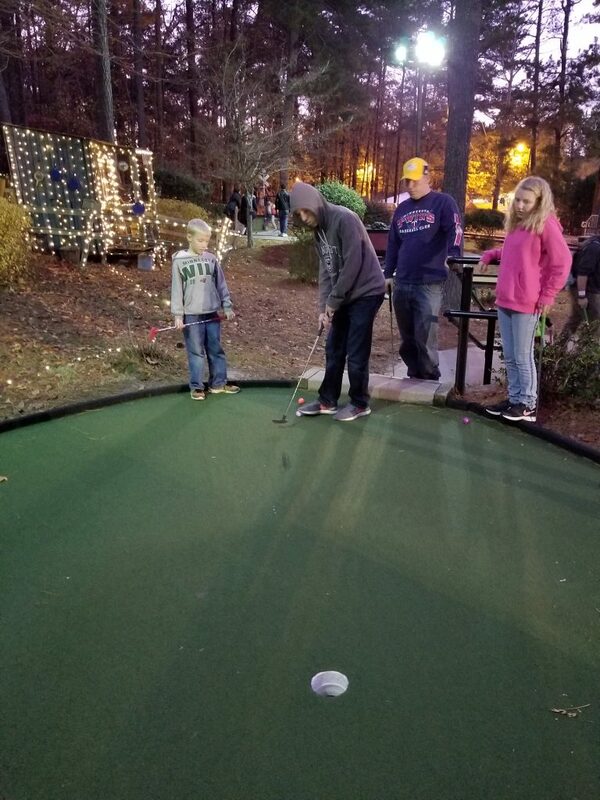 Since Logan is crazy for mini-golf we made sure we got our game in before it got dark. I know we would have golfed all day if it was up to him. The course had a great layout and I was killing it. It must have been my lucky day because I came in second place and beat my husband. That pretty much never happens so you can bet I did a little victory dance (and then immediately told my children being humble is important)! Just as we were finishing our game the train pulled up. The tracks go all the way around the mountain which is about a 30 minute ride. Added bonus for riding at night during Christmas? It’s a sign-along train ride! 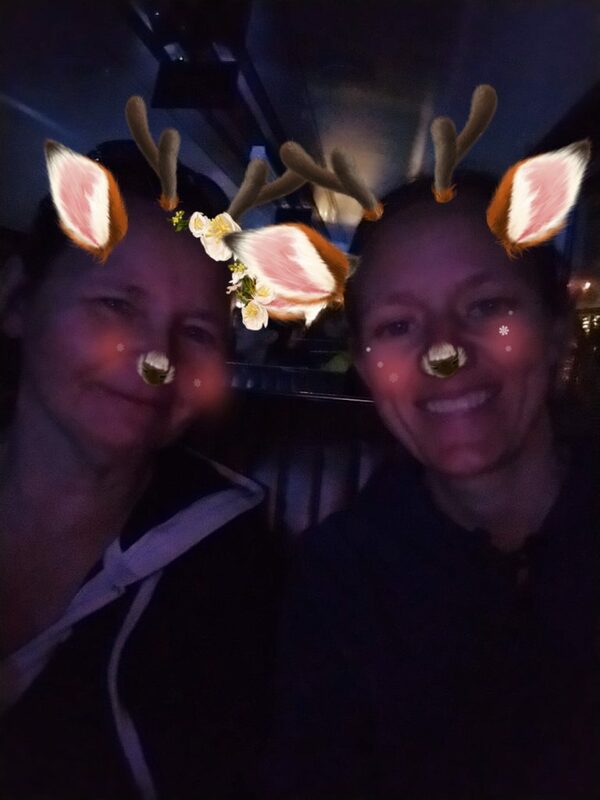 My Mom and I ended up sitting together which was fun because she’s the only one that wasn’t too embarrassed to belt out those Christmas songs with me! The train did stop for a short Christmas play explaining the true meaning of Christmas. Sit on the left side of the train for prime viewing of this. That lesson was learned the hard way. 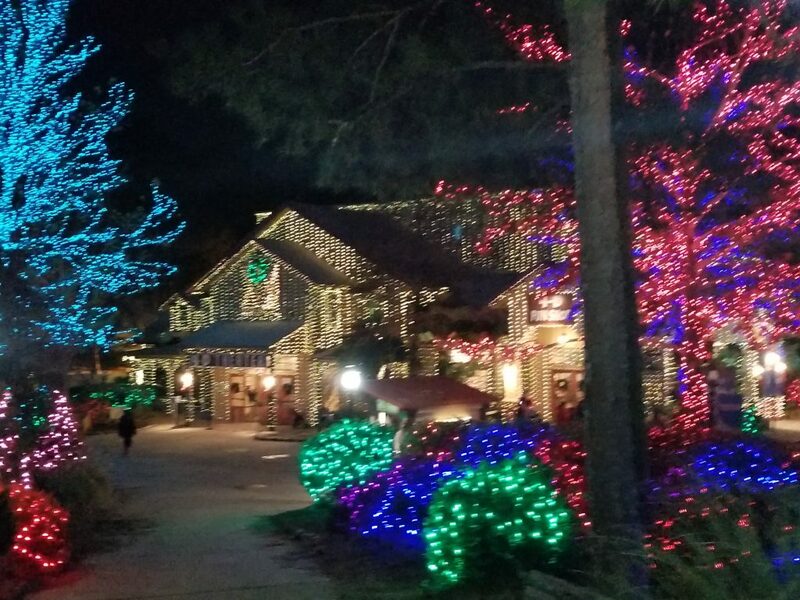 When the sun set on Stone Mountain Park, Christmas lights flooded the area and beauty flowed at every turn. There are more than 2 million colorful lights adorning buildings and fence posts, wreaths are hanging, music is playing, everyone is in the Christmas spirit. It is truly breathtaking. 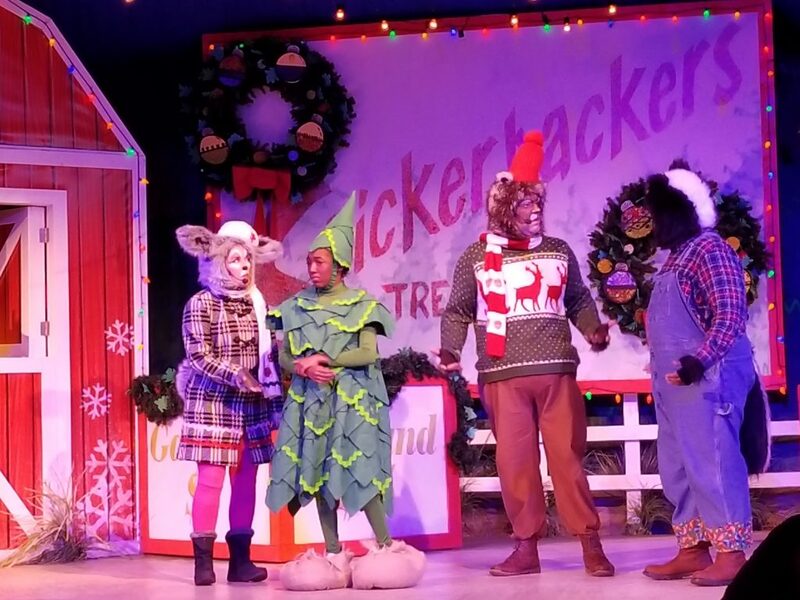 At night we headed to as many Christmas shows as possible. Most of them are musical and we found the actors perform impressively well. 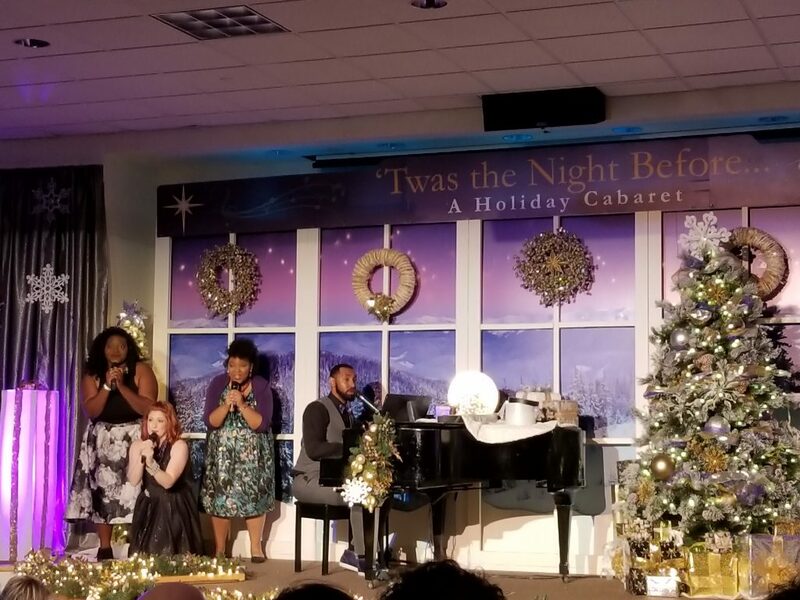 Our favorite show was A Christmas Carole. There was some adult humor in this one so be ready for that. Most of the shows are very family friendly. Make sure you grab a show schedule as soon as you get to the park and take note of the times that each show takes place, to get to all the shows we wanted to see we had to be very strategic! We didn’t planning on staying until close but by the time we did everything we wanted to do and encountered a Georgia snowfall (check out the high ropes area to see what I’m talking about), there was only 5 minutes left until the nightly celebration. Every night the park ends with a bang by putting on a fireworks show over the mountain. The Snow Angel also came to join in on the fun. 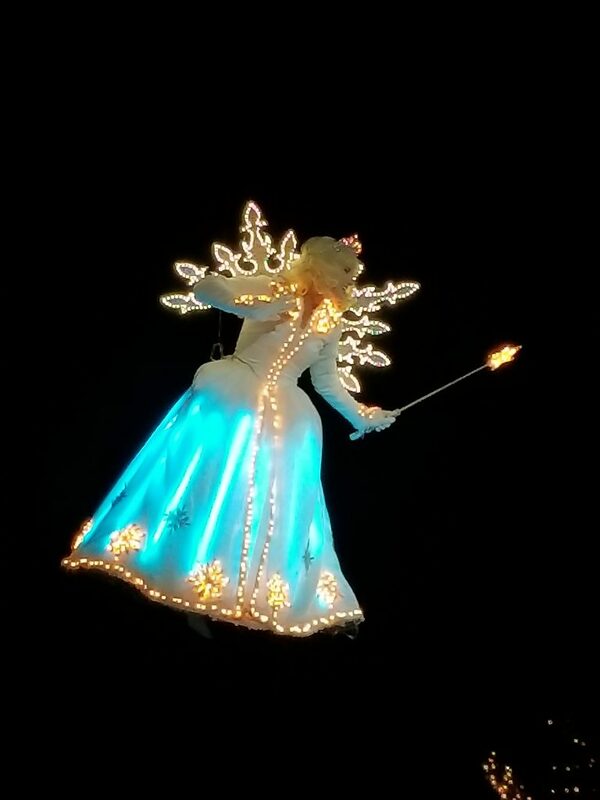 We spent eight hours at Stone Mountain Christmas and could have spent eight more. My family had a fantastic time at Stone Mountain Christmas and we would definitely attend again if we are ever in the Atlanta area. This park is a great place for families to spend the day. See more of our day by watching our YouTube video! To spread even more Christmas cheer, the park also has a snow tubing area. This area does have an additional cost above the regular admission. The tubing area looked like tons of fun! The only reason that we opted not to participate is because we are headed home to Minnesota for Christmas and will have plenty of opportunity to tube there. 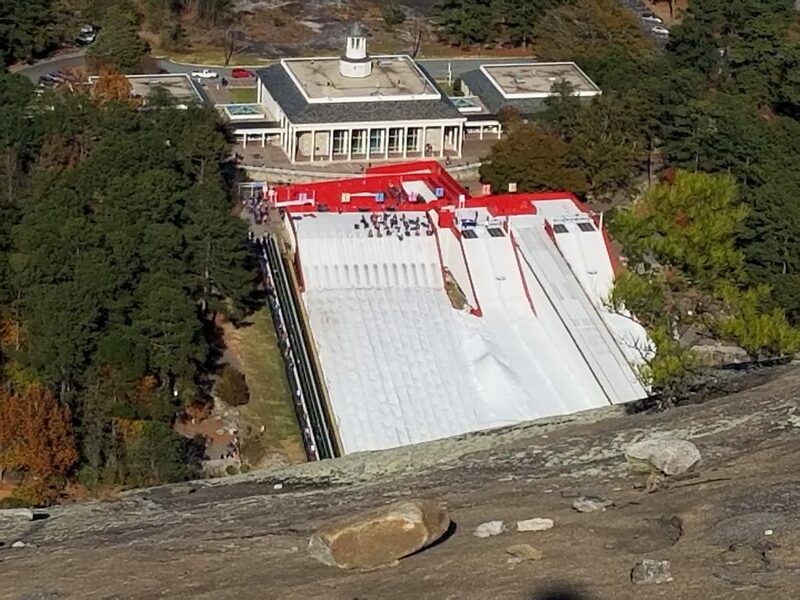 Bonus: At the time I wrote this, Stone Mountain Christmas had a Groupon for a discount off your admission. Before I ever buy a Groupon, I sign into my Ebates app so that I can earn cash back on my purchase. Not only did I have immediate savings of $60.70 over the park price when purchasing my Groupon for Stone Mountain Christmas, but I will also be receiving 7% of the purchase price back. Using these two apps saved me a total of $70.78! To sign up for your own Ebates account to start earning cash back click here.